David and Iman: A model, musician relationship since 1992 (marriagewise). Archive photos. BE mindful of your thoughts during a tiff with your romantic partner, that is if you have any interest in having a long, happy relationship. Gloria and Emilio have been in sync since the late '70s. Any number of factors contributes to relationship dissatisfaction but one that is sure to put a damper on things is negative thinking. Conversely, few or zero negative thoughts lead to happy. ‘Tis the upshot of a study published in the Spring 2013 issue of the journal, Communication Monographs (http://www.bit.ly/13jXOC6). Alas, it was short and bittersweet for Shannen Doherty and Ashley Hamilton whose marriage lasted less than six months. 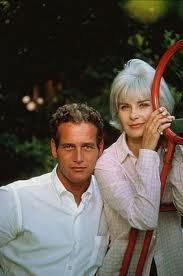 Paul Newman and Joan Woodward had one of the longest marriages in the history of Hollywood until Paul's death in 2008. They wed in 1958! Let those who have eyes see the way forward if they wish to have a Bill- Camille Cosby, Joan Woodward-Paul Newman and Brad Pitt and newly inspirational Angelina Jolie bond instead of a Shannen Doherty-Ashley Hamilton split. Vangelisti&Co. reached these conclusions after observing verbal interactions, as well as tape recorded and typed messages of 71 young unmarried heterosexual Texas couples who had been together an average of three years. 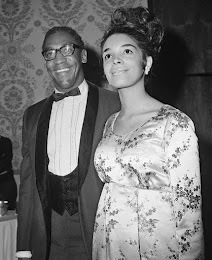 Bill and Camille Cosby have been working it out for 48 years. Investigators tailored questions around common topics of disagreements that the couples listed on a questionnaire about conflicts. Couples also completed a questionnaire about relationship satisfaction. Hot topics included money, past relationships and relationships with friends and family. “We don’t have data on what happens when partners change their thoughts, but our findings certainly do suggest that thinking about how angry and frustrated you are – or thinking about how much power is being wielded during a conflict – is not beneficial for the relationship,” Vangelisti said. 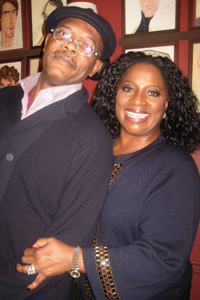 Sam Jackson and LaTanya Richardson have worked their way to smiling faces during a union dating to 1980. 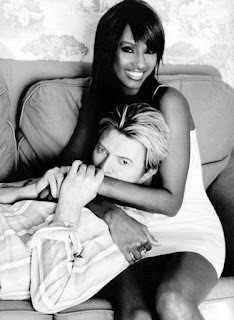 Hard to imagine that Gloria-Emilio Estefan and Iman-David Bowie are enduring without wielding the power of positive (or at least neutral ) thinking.